Join Hector D. Astorga for 3 1/2 days of photography and instruction. Hector, who is also the ranch manager, has been photographing and guiding for photographers at the Santa Clara for over 10 years. During the workshop we will target all the South Texas resident birds and the migratory birds that travel through the ranch this time of year. Green Jays, Golden-fronted Woodpeckers, Thrashers, Orioles, Painted Buntings, and many others will be our targets. We will also target raptors at the ranch's two raptor blinds. Crested Caracara, Harris Hawk, and Turkey and Black Vultures frequent the raptor blinds at the ranch. 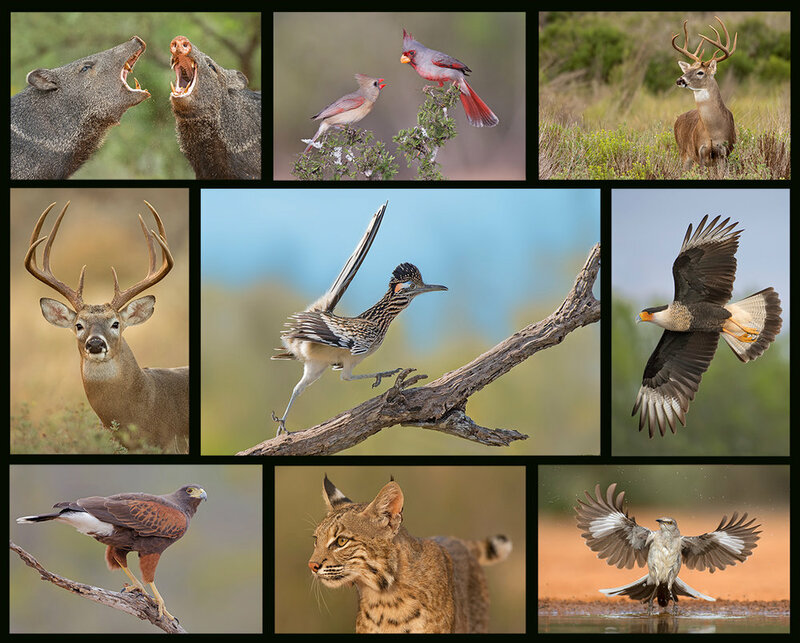 Apart from birds we will also photograph South Texas mammals and reptiles. Collard Peccaries (Javalina), White-tail deer, Armadillos, Mexican Ground Squirells, Rabbits frequent the waterholes at the ranch. If we are lucky we might be able to photograph one of the Bobcats that live in the area. Possible reptiles are Western Diamondback Rattlesnake, Indigo Snake, Leopard frogs, Texas Tortoise, and other snake species like the beautiful Coachwhip snake. A $1000 deposit is required at the time of enrollment with full payment due by September 10, 2019.